Serve your Halloween snacks in this Boneyard Plastic Serving Bowl. 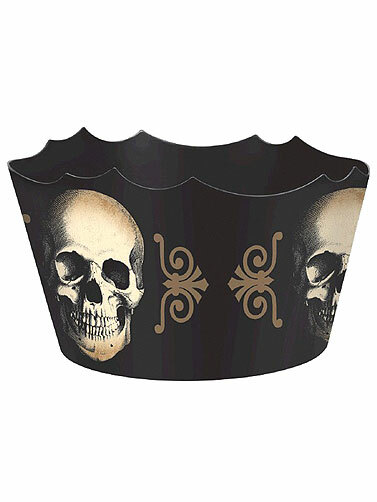 Black plastic bowl features a distressed skull print. Hand wash. Melamine. Boneyard Plastic Serving Bowl measures 6.5"H x 11.5" in diameter.